Historic Myers Park and Eastover may just have some serious classic American neighborhood competition! A newer traditional community has taken over the southern tip of SouthPark over as a sister location to the two historic neighborhoods. Rich in architectural diversity, the traditional style homes, built exclusively by Siminoni, have become known as the ‘Gateway to Myers Park’ from the South! Several of the gorgeous and stately homes in Charlotte NC’s Heydon Hall have been featured in several high-end magazines, showcasing their quality craftsmanship on a grande scale. Heydon Hall Charlotte NC is located just off of Smithfield Church Road (beyond the Quail Hollow Country Club and Seven Eagles), in a prime location with close proximity to Ballantyne as well as Uptown Charlotte NC. Heydon Hall was masterfully designed and built on a 56-acre setting with the feel of a lovely European village. The entrance beckons you with it’s majestic wrought iron gates, leading into the center hub of the neighborhood which features a gorgeous fountain and a park-like setting, perfect for neighborhood gatherings. Nothing but grandeur is contained within the secured gates of Heydon Hall Charlotte NC! The elite custom builder, Simonini, who has built many high-end, superior quality homes in the area, and in the opinion of many, Heydon Hall is their masterpiece. You simply can’t beat the attention to detail, both inside and outside the fabulous homes in Charlotte NC Heydon Hall. The friendly neighborhood with quaint streets, boast sidewalks and a park-like lighting, HOA-maintained front and side lawns, (all full-yard irrigation) and park areas which add to the charm of the ‘Gateway to Myers Park.’ You simply must take a tour to experience the grandeur of Heydon Hall Charlotte NC! Give us a call or email to take a tour or to view homes for sale in Charlotte NC Heydon Hall. For the most-up-to-date information on Heydon Hall current home values, then we urge you to contact us. We can assist you with all aspects of buying or selling real property in this and other neighborhoods in the Charlotte Metro area. Also ask to be placed on an instant notification system when any new Heydon Hall MLS listings come on the market or price reductions in Heydon Hall are posted. The Maxwell House Group Real Estate can assist buyers in all forms of Charlotte relocation needs including new construction houses, condos, townhouses, for sale by owner homes, residential lots, townhomes, lofts, and new homes in various subdivisions across the Charlotte Metro region. If you are interested in foreclosure homes including pre-foreclosures, short sales, REO properties, bank owned properties and other types of foreclosure properties, then we can assist you. If you’re searching for Charlotte NC foreclosures in Heydon Hall or neighboring communities, then we invite you to view the listings in this or any of the Charlotte popular subdivisions on our site. And if you’re searching for condos or townhomes for sale in the Charlotte area, feel free to browse our updated listings of Charlotte condos, townhouses, townhomes, lofts on our site.  Information on this page is based on information on single family homes for sale in Heydon Hall subdivision in Charlotte NC per the Carolina Multiple Listing Services, Inc. and is deemed reliable but, not guaranteed. I love this video – beautiful presentation Debe! Debe – this is a wonderful video and page. You have done a great job show casing Heydon Hall. Thanks, Sharon! Heydon Hall is such a wonderful community–everyone that I know there absolutely loves the community!